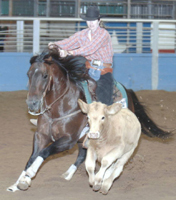 The Region III High School Rodeo will be on at the Young Country Arena on Friday, November 15 to Sunday, November 17th. Make plans now to attend. This entry was posted on Thursday, October 31st, 2013 at 10:32 pm	and is filed under Events, News & Updates. You can follow any responses to this entry through the RSS 2.0 feed. Both comments and pings are currently closed.